Fedora is popular distribution among Linux community. I am all ready using Fedora too. I prefer Fedora because of its updated packages and virtualization support. If you are not using it please give a try. After installation there are thing to do in Fedora to make user experience more smooth.These steps can be implemented in CentOS, RedHat too. SeLinux is a security mechanism to prevent intrusions into operating systems. It’s very powerful for security reasons but if you are using fedora as desktop or if you do not have enough source and knowledge for SElinux try disabling it. Keep in mind that disabling SELinux do not make we vulnerable to the attacks or make us a target for attackers. It is just a extra security layer for linux. Host name is the name of the host and it is used by a lot of different application and services in fedora. To prevent unexpected errors and problems set a reliable host name to the system. To apply host name change reboot the system. DNS is a core protocol for network communication. It translates domain and host names into IP addresses. To access network/internet fast DNS speed is important so add fast DNS to the system by using GUI or command line interface. System updates is important issue for today. It gives new features, security and stability to the existing systems. Chrome is modern fast browser used millions of people. Chrome do not provided by default in fedora repositories. We need to add chrome repository and than install is. Firefox is old and open source browser which predicessor is netscape. Firefox can be find in fedora repositories. IPv6 is new replacement for IPv4 protocol but for along time it is not became primary for now too. If you have no idea about IPv6 application you can disable IPv6. Terminals are heart of the Linux there are a lot of different types. Yakuake brings new concepts to terminal or command line console usage. Yakuake have ability to work all work spaces and can be hide with F12 key. RpmFusion is a repo that provides a lot of useful and closed source applications. 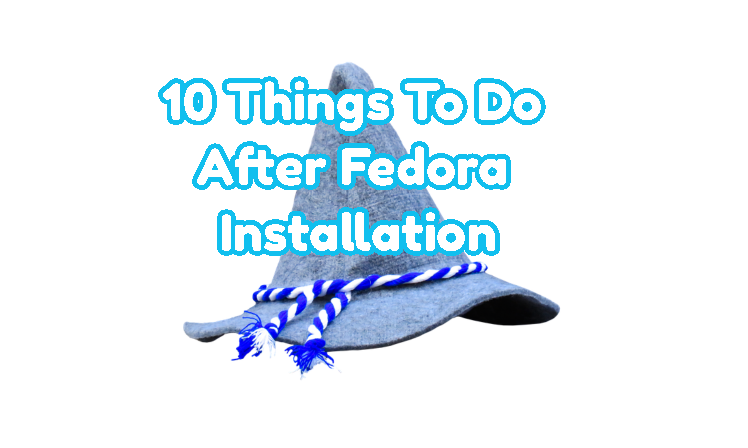 Using RpmFusion will make your Fedora life easier. VLC is my favorite multimedia player for years. I can not use my desktop without it. To install VLC use following command.